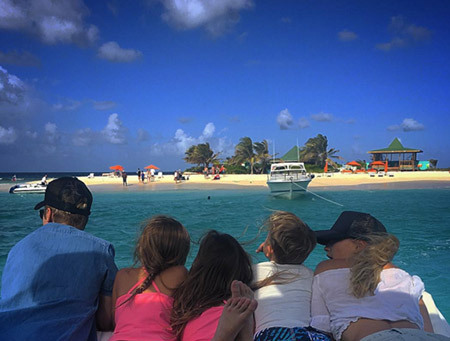 Yes, Christmas and NYE 2015 was the year of young, high-profile stars in Anguilla! 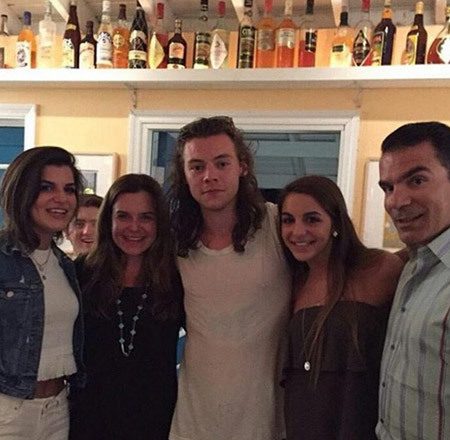 You can read more on Justin Bieber, Harry Styles and Emmy Rossum's Anguilla vacations here. 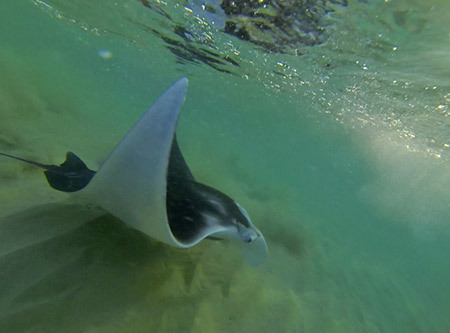 A beautiful creature, we jumped in the water to get a closer look. 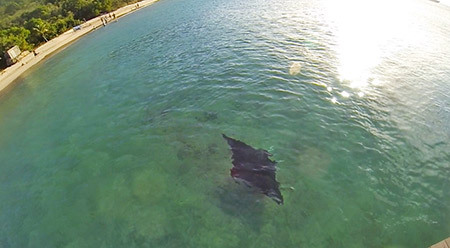 Click here for the video footage. ... courtesy of Surf AXA's brave Akio Lloyd. 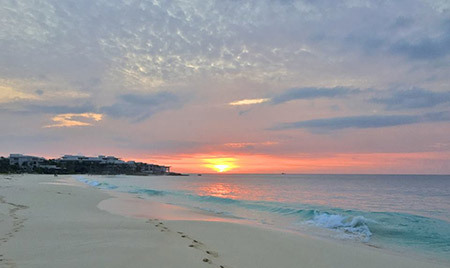 Now mid-January, the island is back to its tranquil self, complete with sparkling-calm seas and spectacular sunsets. 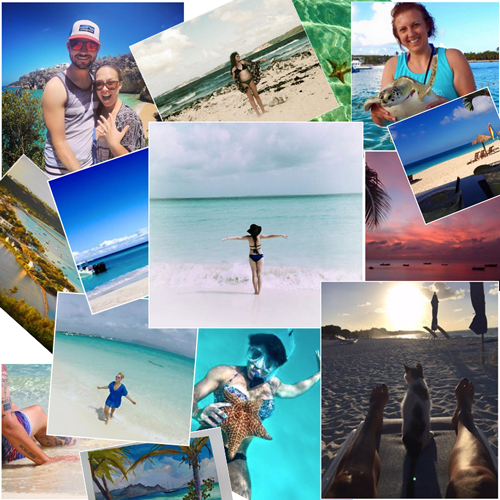 5 Days Left to Enter "Postcards From Anguilla"
Only 5 days are left to enter our January contest, "Postcards From Anguilla." 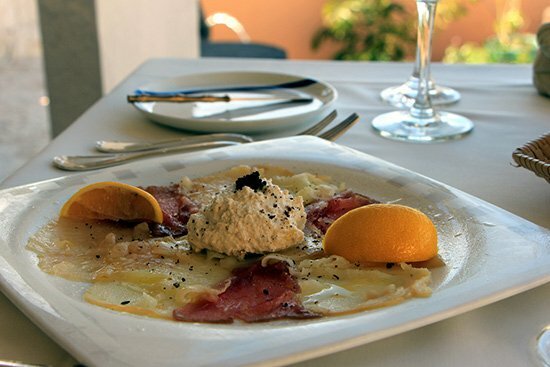 Win a $250-value dinner for 2 at the five-star Restaurant at Malliouhana! 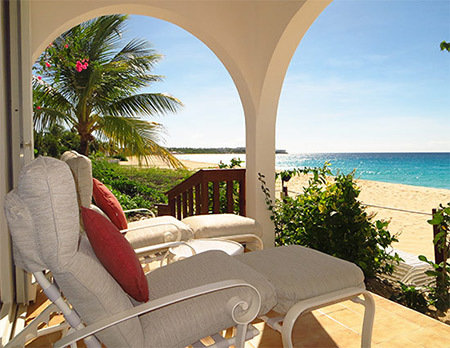 The 5 entries with the most "votes" on Facebook each win a FREE year of the Anguilla Card, too! Details on how to enter and win here. I have been experimenting with Vine, a new company that enables publishers to create 6 second videos that loop endlessly (or until you decide to stop it, of course!). At first, I didn't think it would be possible to do much in 6 seconds. It's amazing what can be done with this exciting new medium. See for yourself. 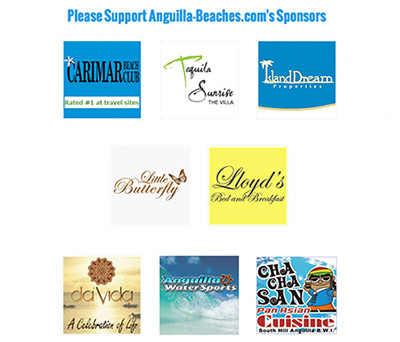 Here is the link to the newest Anguilla Beaches channel. There is a lot more fun to be had with Vine, though. From the "horror vid" Snake in Paradise to my own underwater close-up encounter with a huge Manta Ray, to the first of many funny "Coconut Chronicles," there is nothing that we won't do and cover! 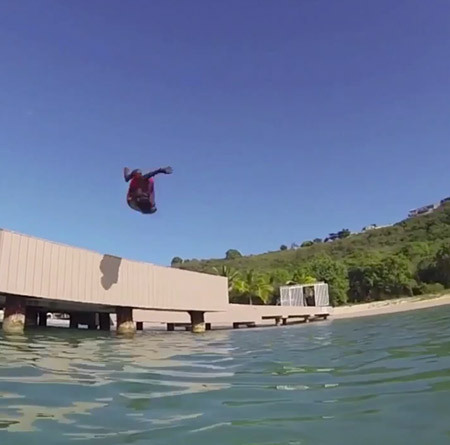 There are 6-second vids of cliff-diving, a "dinging" pelican, a flash contest at Twitter and there is even "a vine" of Justin Bieber playing drums at Viceroy! You can follow these videos by subscribing to our Twitter account. Or follow us on Vine to "collect them all." 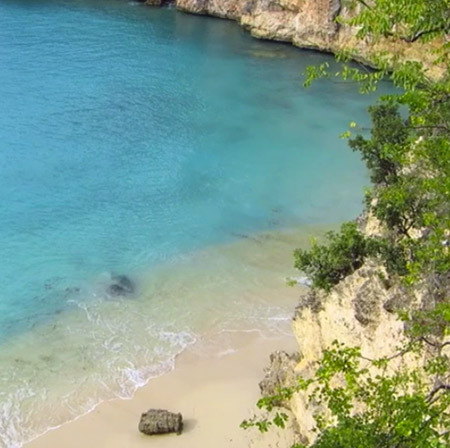 This new Anguilla channel promises to be one heck of a lot of fun! We plan on adding some off-beat directions. I hope you join us. We'll be having flash contests, and our annual big contest may be all about vines. HINT: Film lots of footage while you are here! Eating with Ziggy in Anguilla! NYC-based travel and food blogger, Ziggy shares his favorite 7 dishes on one of the dining capitals of the Caribbean, Anguilla. With spot-on recommendations and a great sense of humor, you can "eat with Ziggy in Anguilla" here. 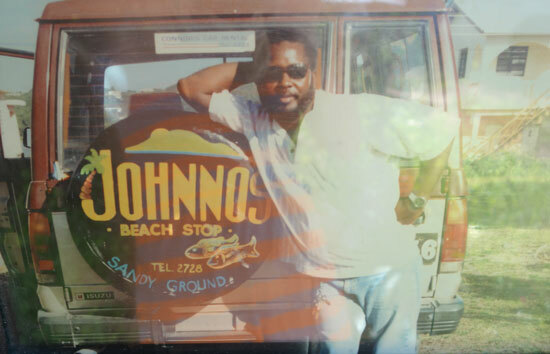 One of Anguilla's tourism pioneers that specializes in a relaxed time, good food and live jazz, we catch up and get to know the founder and owner of Johnno's, Johnno Edwards. Read more on Johnno Edwards here. Book a week at Tequila Sunrise Villa this January, February and March, and your stay includes a complimentary round of golf at CuisinArt's luxurious Golf Course, a Greg Norman designed course and one of the leading golf courses in the Caribbean. For more on the luxury villa that offers it all, click here. And, now Carimar guests can enjoy Café de Paris pastries without leaving the hotel. Simply place your order before 8pm (selections include French croissant, chocolate croissant, raisin roll, almond croissant and apple turnover) and pick up your order at Carimar's front desk! Late Night Shuttle I am delighted to announce that St. Maarten and Anguilla have reached an agreement regarding the late night shuttle. Operations should resume on January 17th. We will keep you posted as that information becomes available. Anguilla Watersports With light winds scheduled for the coming weekend, the time is right to learn to kitesurf in Anguilla! 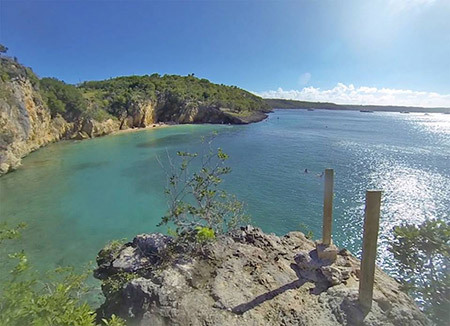 With an all-star team, Anguilla Watersports is the group to learn with. 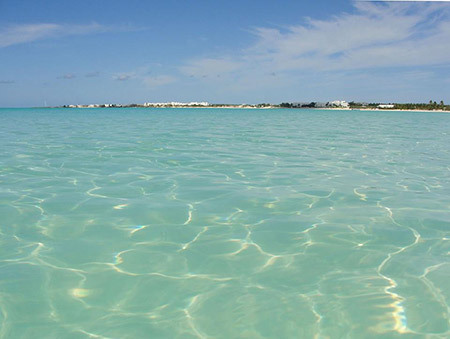 More information on Anguilla Watersports here. Coconuts Beach Bar Anguilla Great House has made a terrific addition to the sands of Rendezvous Bay. A brand new beach bar, with Elvis as bartender! See more on Coconuts Beach Bar here. Geraud's is Moving Geraud's has ended their lease at South Hill Plaza. They will be re-opening on a date TBD as they are moving right next to Grands Vins de France's picturesque, new location, just 30 seconds away. More updates to come! Here's wishing you a very Happy 2016 & hoping to see you on the beach this year!